Although disposable, this white triangular bandage feels like strong heavy-weight material. It's made of polypropelene and not paper like some disposable triangular bandages sold by others. 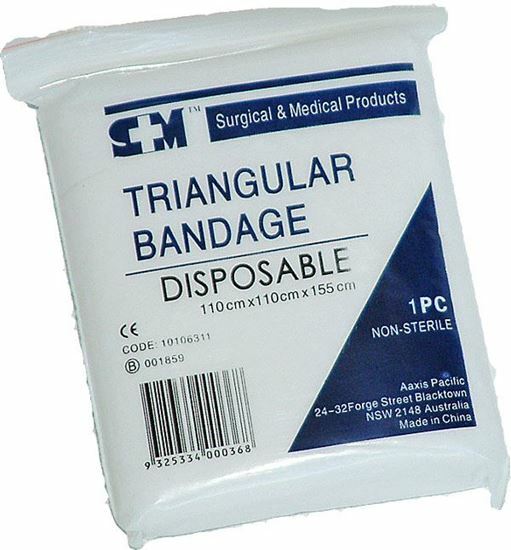 So this triangular bandage is water-proof and robust enough to fullfil almost all uses you expect from a trianglar bandage, one of the key component of any first aid kit - such as sling, bandage, bandage splinting, compression, padding, mask, emergency cooling by adding water, head scaff, shade, restraint etc.. Includes a safety pin also!